The album The Turn Of A Friendly Card includes two of Parsons’ very best songs: “Time,” with its beautiful harmonies, and the gently swinging “Games People Play” which opens with Empire fanfares. That the instrumental tracks are find favor with almost all rock fans is hardly surprising because the music more often than not emulates the driving sound of Brit Rock rather than bombastic “sonic souffles” (Rolling Stone). But be that as it may, the title certainly holds its promise. The sales figures for this album clearly show that this “friendly card” has definitely turned up trumps for Alan Parsons. Although numerous doubts abounded that concept albums with thematic focus were not what people wanted to hear, Alan Parsons’ somewhat egomaniacal projects always found a broad public. Of course one can listen to the perfectly styled sound of the music which this man created at the mixing console and concentrate on its programmatic contents or wallow in its esoteric tonal depths. But you don’t have to, for Parsons’ velvety mixture of ballads and rock numbers will get your ears’ nerve endings tingling without lyrics and themes. 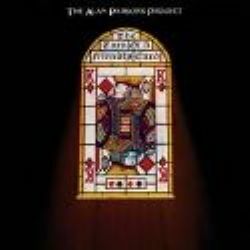 With two of the Alan Parsons Project’s best songs, the lovely ballad “Time” and the wavy-sounding “Games People Play,” The Turn of a Friendly Card remains one of this group’s most enjoyable albums. Parsons’ idea, the subject of the album’s six tracks, centers around the age-old temptation of gambling and its stranglehold on the human psyche. On “Games People Play,” vocalist Lenny Zakatek sounds compelling and focused, giving the song a seriousness that aids in realization of the album’s concept. With “Time,” it is Eric Woolfson who carries this luxurious-sounding ode to life’s passing to a place above and beyond any of this band’s other slower material. The breakdown of human willpower and our greedy tendencies are highlighted in the last track, entitled “The Turn of a Friendly Card,” which is broken into five separate parts. “Snake Eyes,” sung by Chris Rainbow, is the most compelling of the five pieces, and ties together the whole of the recording. As in every Parsons album, an instrumental is included, in this case an interesting number aptly titled “The Gold Bug.” Like most of the band’s instrumentals, its flow and rhythm simulate the overall tempo and concept of the album, acting as a welcome interlude. Although short, The Turn of a Friendly Card is to the point and doesn’t let down when it comes to carrying out its idea.